Item # 316857 Stash Points: 2,495 (?) This is the number of points you get in The Zumiez Stash for purchasing this item. Stash points are redeemable for exclusive rewards only available to Zumiez Stash members. To redeem your points check out the rewards catalog on thestash.zumiez.com. 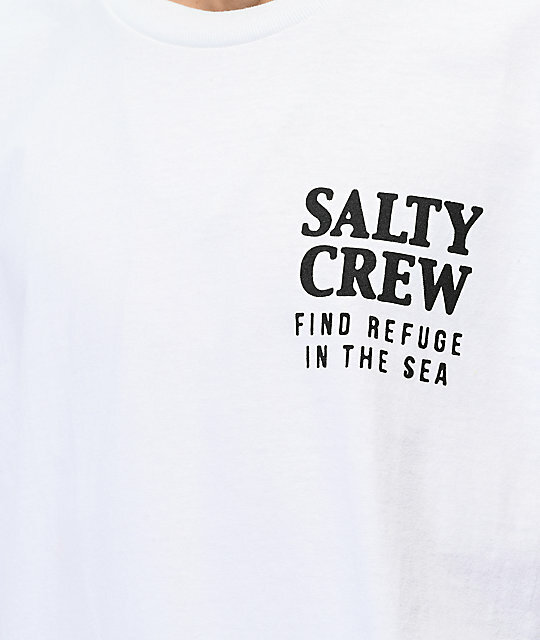 Find refuge in the sea and look good while you do, with the new Poppin Off white t-shirt from Salty Crew. 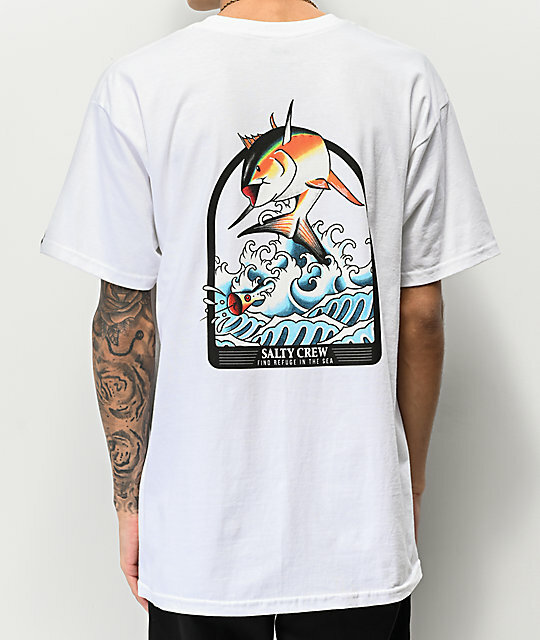 This tee is highlighted by a large graphic on the back of a colorful fish jumping out of the ocean with text that reads "Salty crew, Find Refuge In The Sea." Matching text on the front left chest completes the look for an all around Salty Crew feel while the tagless construction keeps you comfy all day. 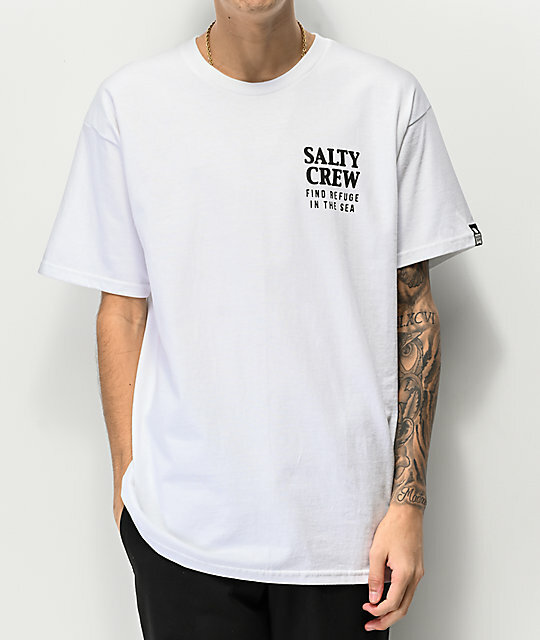 Poppin Off White T-Shirt from Salty Crew. Screen-printed text on the left chest and graphics and text on the back.